Achieve a truly unique illuminating glow with the Miss Claire Shimmer Bricks. Featuring 6 shades each, this baked shimmer highlighter adds a soft glow to your cheeks and highlights your features beautifully. It's superfine pigments blends beautifully for a rainbow highlight. Explore the entire range of Highlighters available on Nykaa. 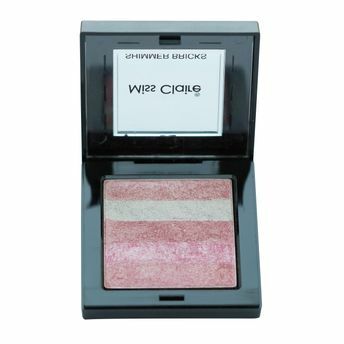 Shop more Miss Claire products here.You can browse through the complete world of Miss Claire Highlighters .Alternatively, you can also find many more products from the Miss Claire Shimmer Brick range.